1. Melt the chocolate in a bowl over a pot of hot water on the stovetop. 2. Add 150ml of the cream. Stir until smooth and set aside. 3. Then add the passion fruit cordial and stir. 4. Whip the remaining 50ml cream until soft peaks form. 5. 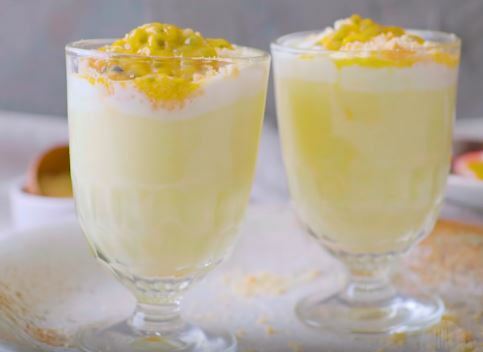 Serve in a glass with a dollop of whipped cream, crumbled cookies and passion fruit pulp.